BBC National Orchestra of Wales gave its first performance in April 1928 and occupies a special role as both a broadcast orchestra and the national symphony orchestra of Wales. Intermusica has toured BBC NOW for over ten years, taking the orchestra across Europe including countries such as Spain and Italy and to venues such as the Concertgebouw Amsterdam and the Vienna Konzerthaus. The Orchestra is based at BBC Hoddinott Hall, which is named after Welsh composer Alun Hoddinott, and is part of the Wales Millennium Centre in Cardiff Bay. 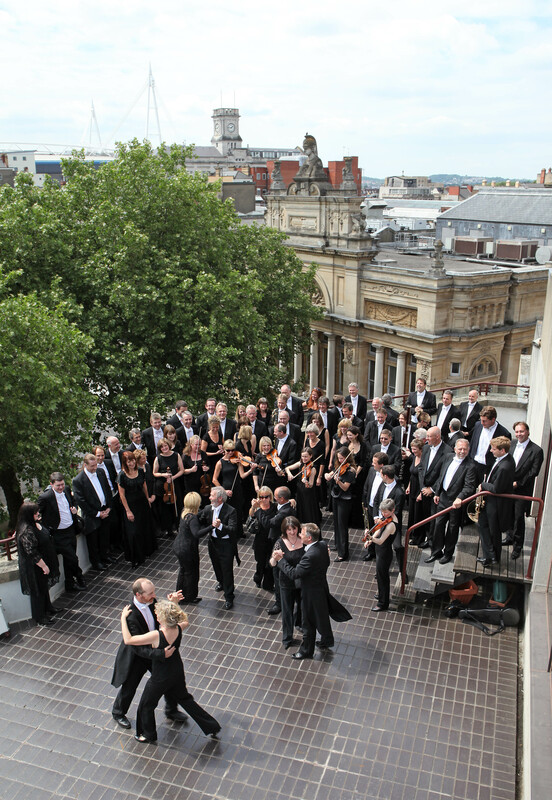 The Orchestra presents an annual season at St David’s Hall, Cardiff, where it is Orchestra-in-Residence, as well as concerts in venues across Wales and beyond; including annual performances at the BBC Proms and biannually at BBC Cardiff Singer of the World. As one of the six BBC Performing Groups the Orchestra has a busy schedule of recordings, broadcasts and concerts, for BBC Radio 3, BBC Radio Wales, BBC Radio Cymru and BBC television. The Orchestra can also be heard on a number of BBC programmes, providing the music for the BBC Natural History Unit’s Hidden Kingdoms, BBC Cymru Wales’s Atlantis and of course as the Doctor Who orchestra. The BBC National Orchestra of Wales embarks on a landmark tour of South America, to celebrate the 150th anniversary of the arrival of the Welsh community in Argentinian Patagonia. In addition to education and outreach work in the Welsh communities in Patagonia, the tour covers many cities on the continent, including Buenos Aires, Montevideo and Santiago. The concerts are conducted by Grant Llewellyn and feature Welsh harpist Catrin Finch in programmes including Dvorak Symphony No.7 and Tchaikovsky Symphony No.5. Opera superstar Bryn Terfel travels with the BBC National Orchestra of Wales on its return to Asia in October 2017, performing a mixed programme of opera arias and songs. BBC National Orchestra of Wales makes its debut in China in 2012, in a tour that forms part of the UK Now festival of British arts and creativity in China, organised by the British Council. Conducted by Thierry Fischer, the 12-day tour includes concerts in the cities of Tianjin, Beijing, Shanghai, Shenzhen and Guangzhou. The 2,000 members of the audience at the performance at the National Centre for Performing Arts (NCPA) in Beijing were joined by 6m people watching live on Chinese television. Thierry Fischer and the BBC National Orchestra of Wales travel to Amsterdam to perform a pair of concerts in the summer Robeco Series at the Concertgebouw. Pianist Llŷr Williams joins the orchestra for the first concert to perform Beethoven’s Piano Concerto No.4, with harpist Catrin Finch performing Debussy’s Danses Concertantes. The programme concludes with Huw Williams performing Saint Saëns’ Organ Symphony. Joining the orchestra for the second performance, Swiss flautist Emmanuel Pahud performs Ibert’s Flute Concerto and Martin’s Ballade for Flute and Orchestra with music by Ravel and Brahms completing the programme. Thierry Fischer and the BBC National Orchestra of Wales travel to Italy to perform in three concerts in Modena, Bergamo and Brescia. Pianist Nicholas Angelich and harpist Catrin Finch join the Orchestra to perform Saint Saëns Piano Concerto No.5 and Takemitsu’s Toward the Sea II respectively, while music by Britten and Elgar complete the programme. Intermusica brings the BBC National Orchestra of Wales to Spain for debut performances under Principal Conductor Thierry Fischer. They are joined by French pianist Louis Lortie who performs Mendelssohn’s Piano Concerto No.1 and Rachmaninov’s Piano Concerto No.2. The Orchestra also performs works by Beethoven, Ravel and Stravinsky.